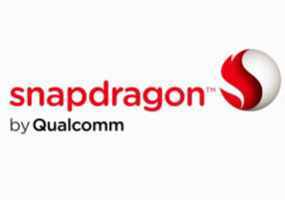 Qualcomm ready for Windows 8 ~ " World Information "
Jakarta - Qualcomm has been confirmed, new Snapdragon line of processors designed to be used later on mobile devices based on Windows 8. Dual-core chip quad-core Snapdragon expected to optimize the performance of computing devices and extend battery life. In addition, the two chips mentioned will present a graphical display and smooth multimedia playback on Windows tablets. Reported by TG Daily and quoted on Saturday (04/06/2011), Snapdragon chip family is the MSM8960. Dual-core chip is expected to be embedded in the latest Windows devices. In addition, there are quad-core chips APQ8064 expected to be introduced early 2012. According to the Qualcomm MSM8960 chipset provides dual-core platform with multi-mode modem integrated 3G/LTE designed to meet the multi-tasking functions from Windows 8. He mentioned, they berkolabroasi with Qualcomm's Snapdragon is because the device is armed with Windows 8 will help consumers try to experience more and allows vendors to try to create a new PC designs.